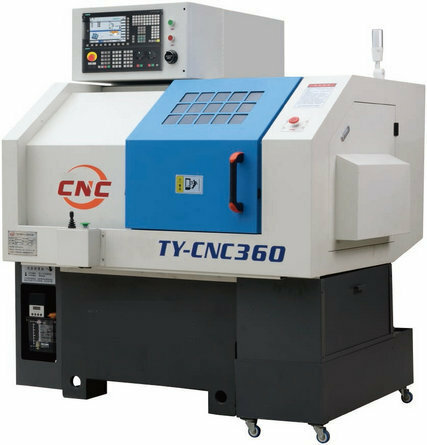 The high precision CNC lathe is capable to operate manual as well as autonomously and continue to meet the userÃÂ¢Ã¢âÂ¬Ã¢âÂ¢s requirements through various features. Industries where high precision is required for small diameter objects can conveniently use the same for achieving the desired objectives. The designing further aids in achieving varied additional features which further helps the use. The prominent features offered with the machine are as: on-board memory, online help, metric/inch conversion, spindle load meter, PLC ladder display, reverse backlash compensation, tool nose noise compensation AC spindle drive, analogue spindle control, tool nose radius compensation, etc. as a well-known manufacturers, suppliers and exporters of these high precision CNC lathes we have maintained a good place in the market. Also we try to continuously innovate and research to further improve our performance. Thus you can buy these lathes at competitive rates.